"I recall fondly my visit to what was then the West Ashley Minyan several years ago. The energy and excitement that has grown since then is powerful." Rabbi Davies hit the ground running with a fantastic High Holy Day season and, along with our exceptional programming team, introduced a handful of youth and adult programming such as the Greatest Hits of the High Holy Days Service and our first annual Youth Candy Sukkah Building Contest. Rabbi Davies is looking forward to meeting more and more members of the Charleston Jewish community and finding out what it is they are looking for in a congregation and community. He is working with synagogue leadership to further streamline and professionalize the inner-workings of Dor Tikvah. He also teaches classes in Addlestone Hebrew Academy. Rabbi Davies has particular interest in Youth Education and Programming. 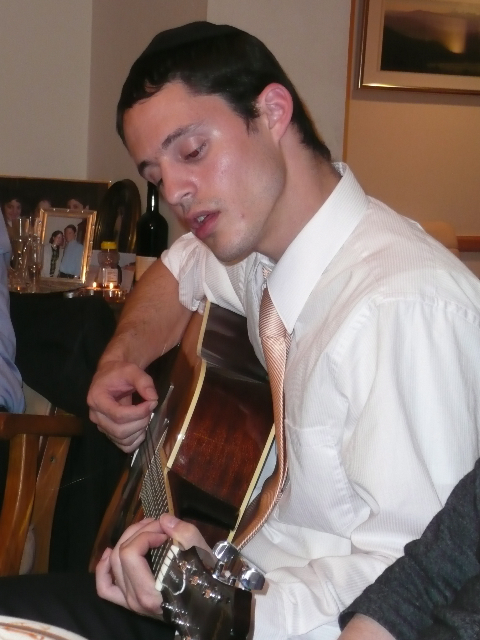 He pulls from his studies as a member of Yeshiva University’s Experiential Jewish Education Certificate Program. Rabbi Davies hopes to capitalize on the existing focus on the youth of the congregation --one of the attractive aspects of Dor Tikvah that drew him and his family here. "The kids are the future of our community. It's so important to help them to be involved and excited about being a part of it." Rabbi Davies,Ora, and their children are very excited to be a part of Congregation Dor Tikvah. "We've come to view Dor Tikvah as extended family. It’s such a pleasure getting to know and love this community."